This cape is great to knit for fall but it can also be made into a spring cape by changing the color. 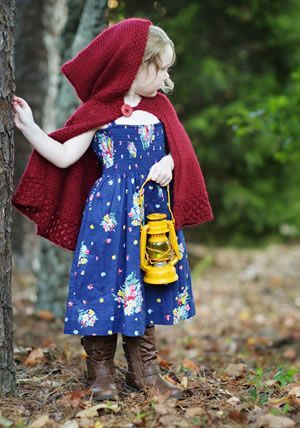 What little girl wouldn't want to play dress-up with this adorable knitted cape. Be sure to check out the site's other knitting patterns while you are there.